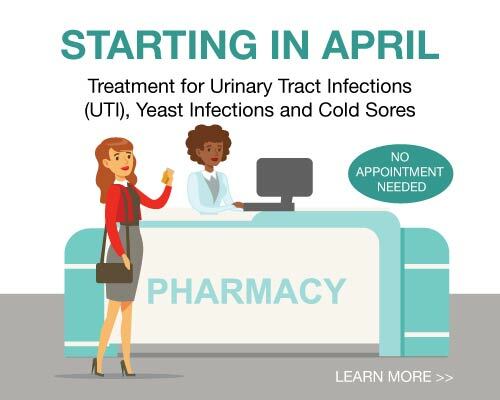 Starting April 1, select Macey’s pharmacies will begin offering clinical consultation and prescriptive services and treatment for urinary tract infections, yeast infections and cold sores. Our pharmacies accept walk-ins and offer convenient hours to serve you. For a low-cost consultation fee, our pharmacists will collect patient information, discuss your symptoms and provide you with prescription treatment if necessary- ALL IN ONE STOP. 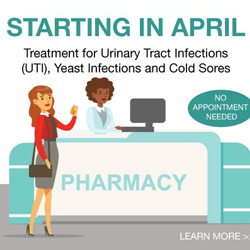 Visit any of the following pharmacies to take advantage of these new clinical services starting April 1.